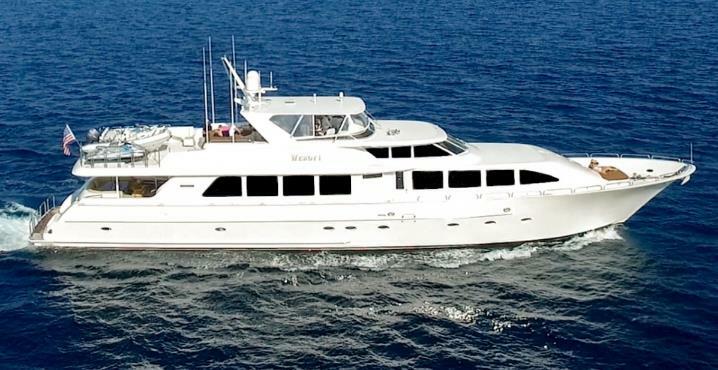 Launched in 2002 by Westport Yachts, the 34,14m (112ft) motor yacht WENDY 1 (Ex Joan’s Ark, Lucky Seven) was refitted in 2015. 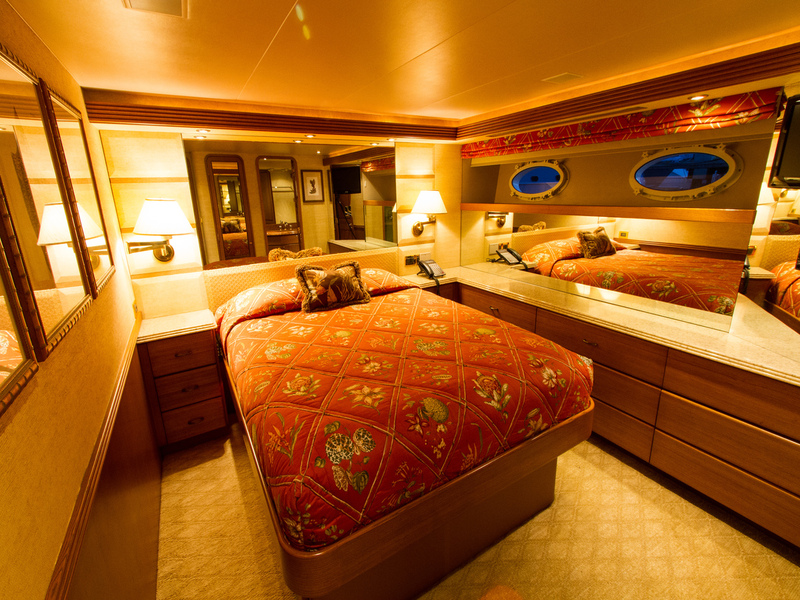 She offers accommodation in 4 cabins, for up to 8 charter guests and has a crew of 4 professionals. 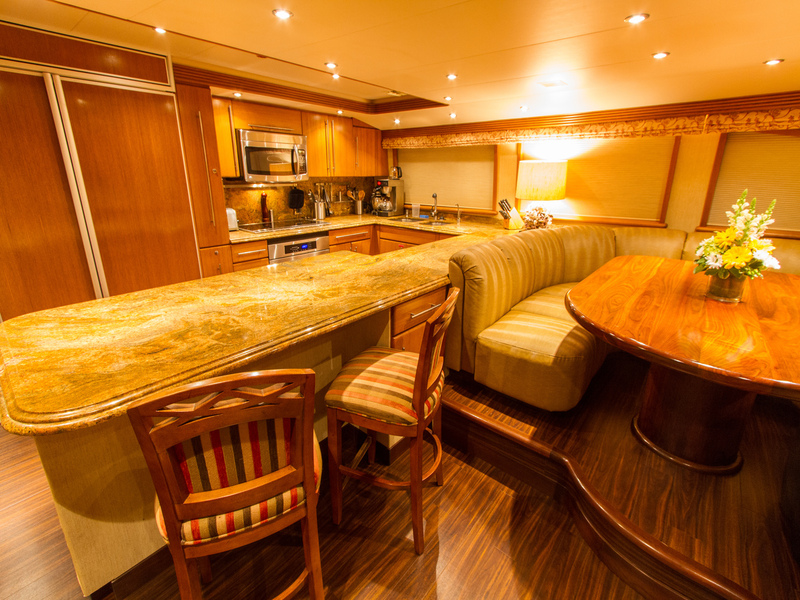 The interior living areas are well-appointed and spacious. 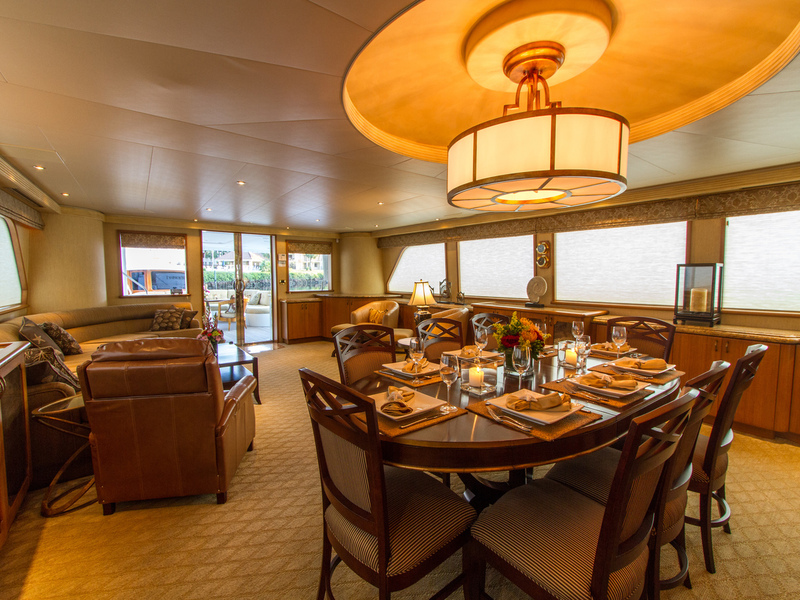 An open plan salon and dining offers a contemporary layout. 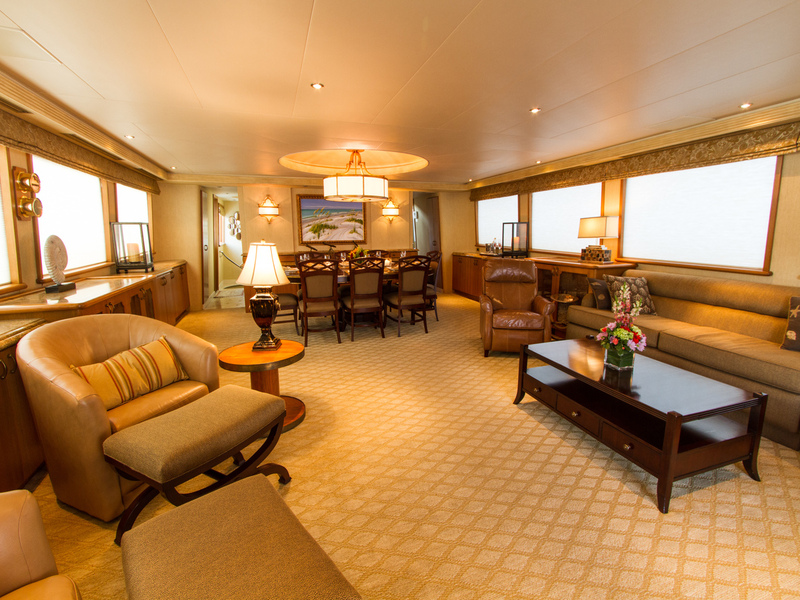 The generous lounge with sumptuous soft furnishings is aft and the formal dining area is forward. 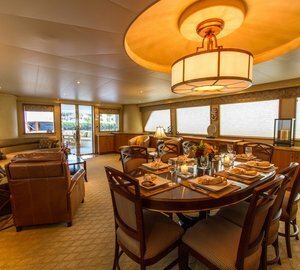 On the starboard side a foyer leads to the day head, followed by a fully equipped country style galley, with casual eating area. 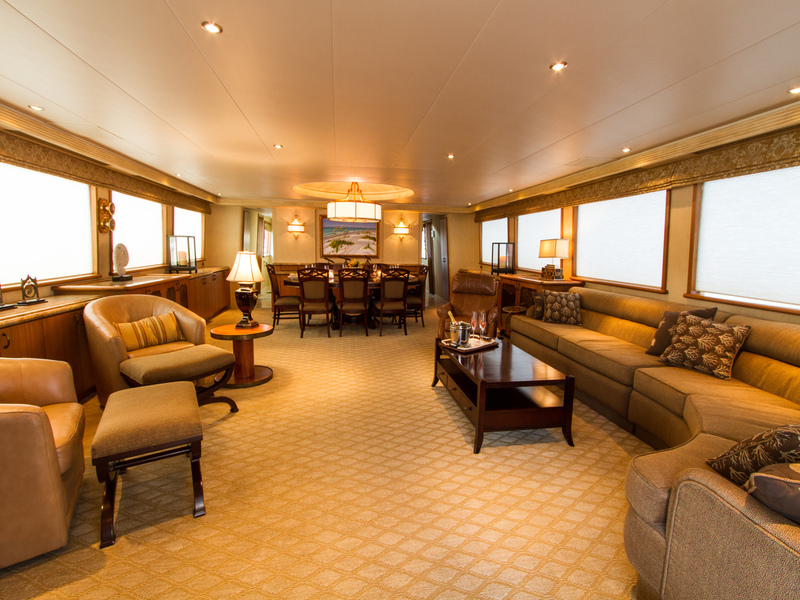 Accommodation is on the lower deck, with the VIP cabin accessed from a private stairwell forward of the galley, and the master cabin, plus 2 further cabins accessed from a port side stairwell, just forward of the salon. 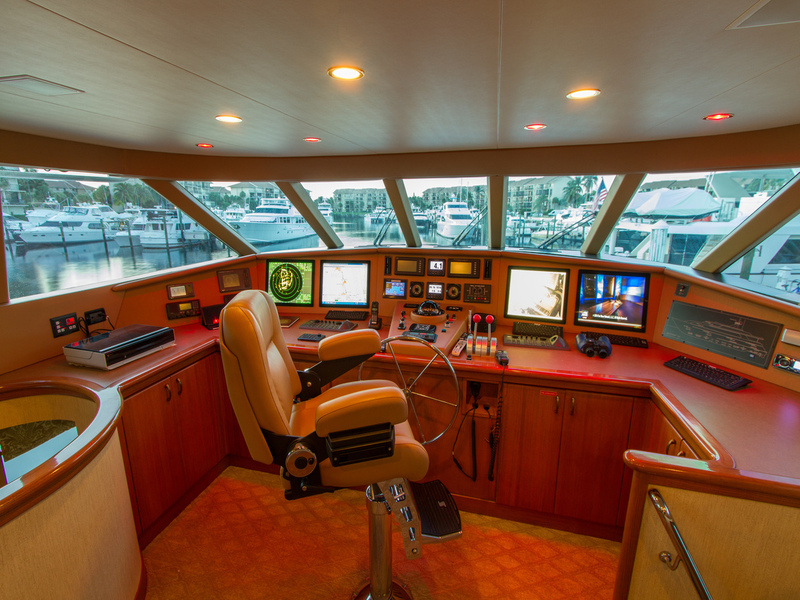 Exterior space is laid out over 2 levels. 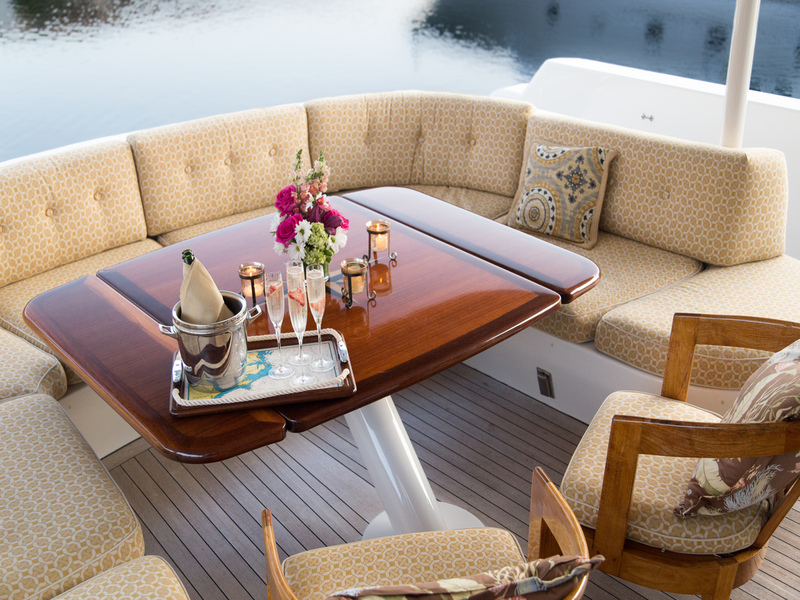 Adjacent to the salon is a shaded aft deck and alfresco dining table. 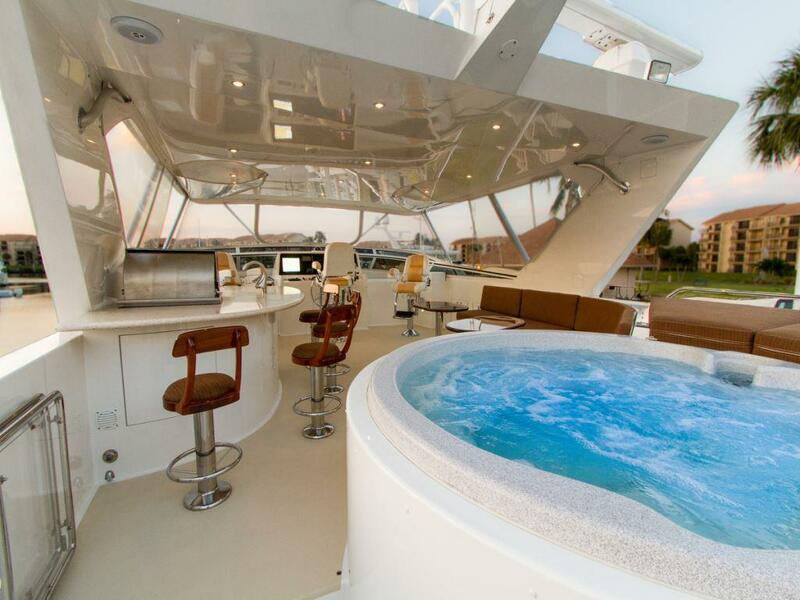 Dual steps on the stern, give way to the extended swim platform and water toys on offer. 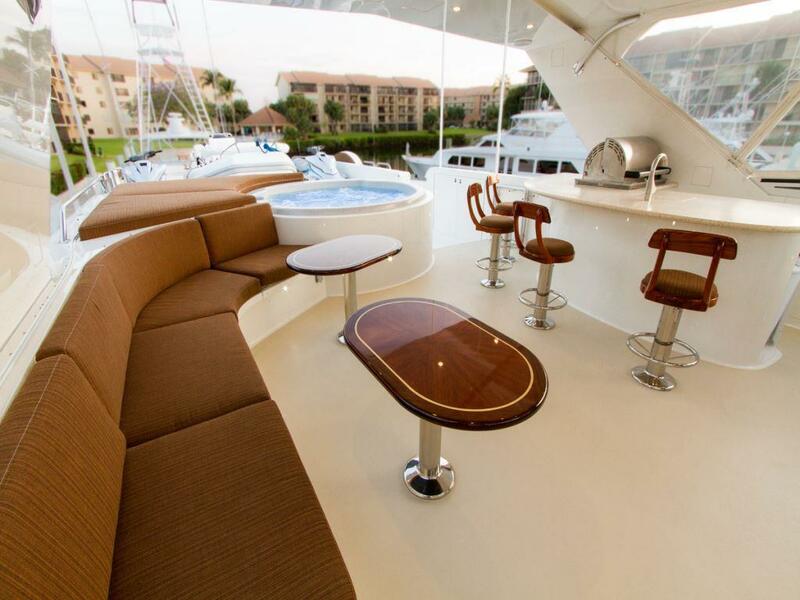 The sundeck is partially shaded and features a deluxe Jacuzzi tub, raised sunpads, comfortable seating space with cocktail tables and wet bar with BBQ station. 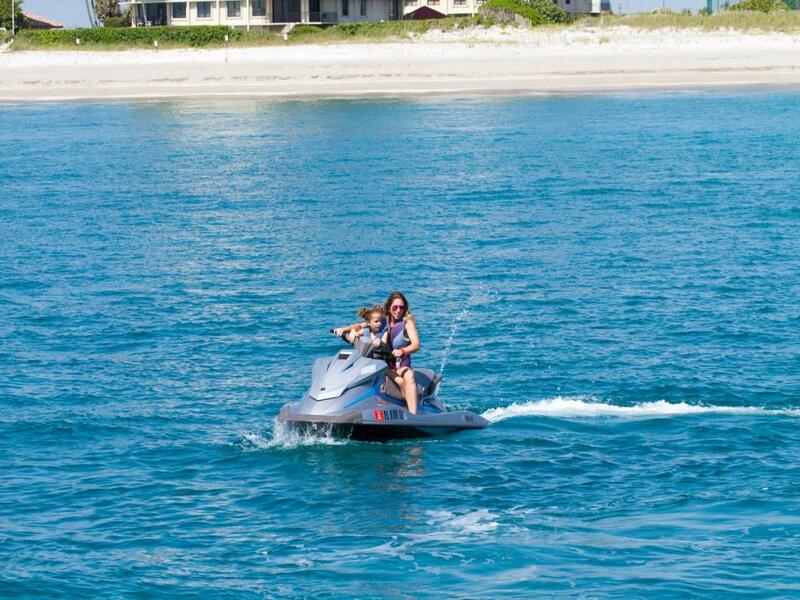 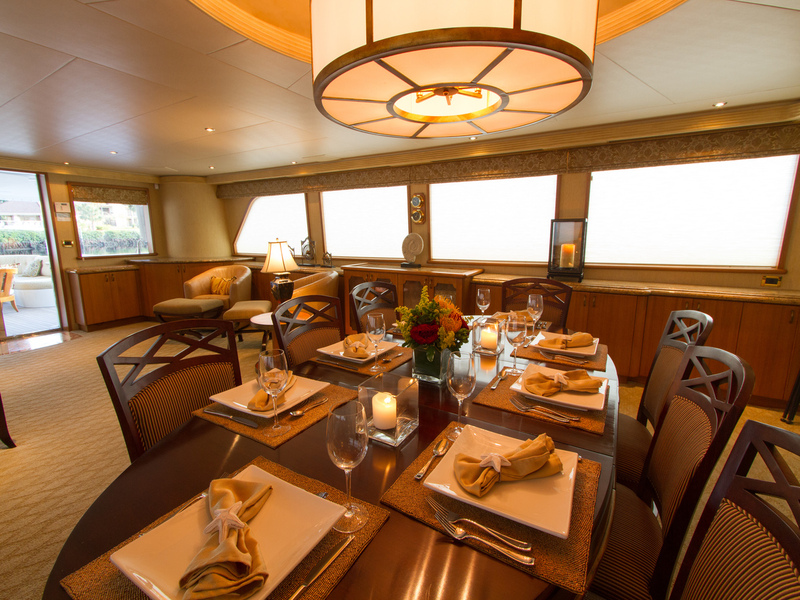 Fitted with twin MTU 1800hp engines, M/Y WENDY 1 has cruising speeds of 20 knots and top speeds of 25 knots. 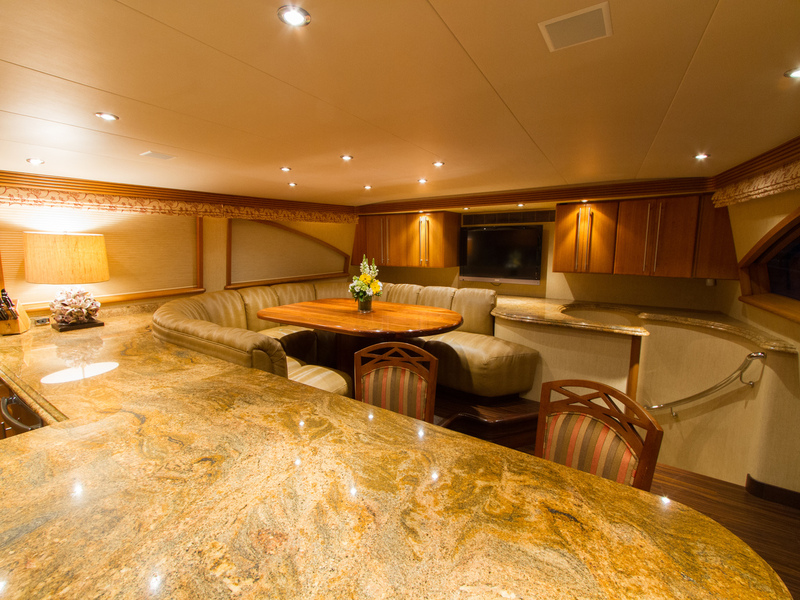 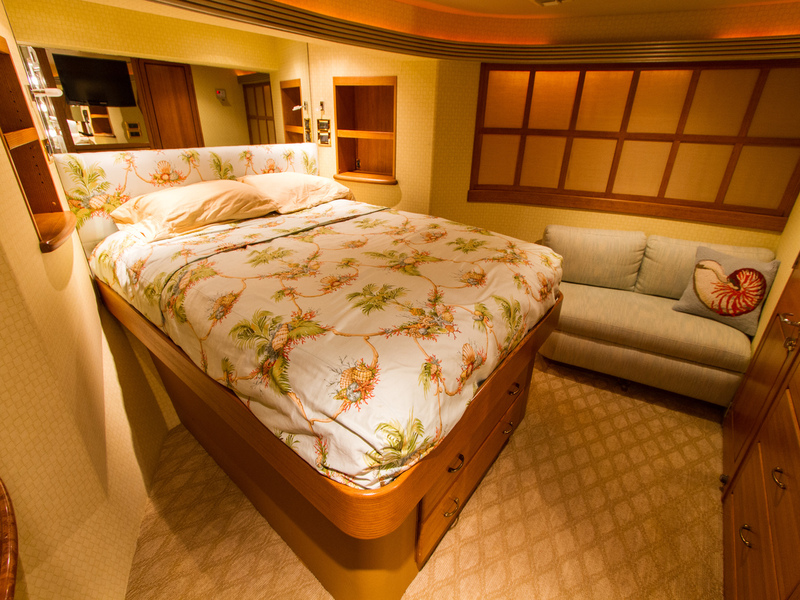 Below decks are 4 guest cabins offering accommodation for up to 8 charter guests. 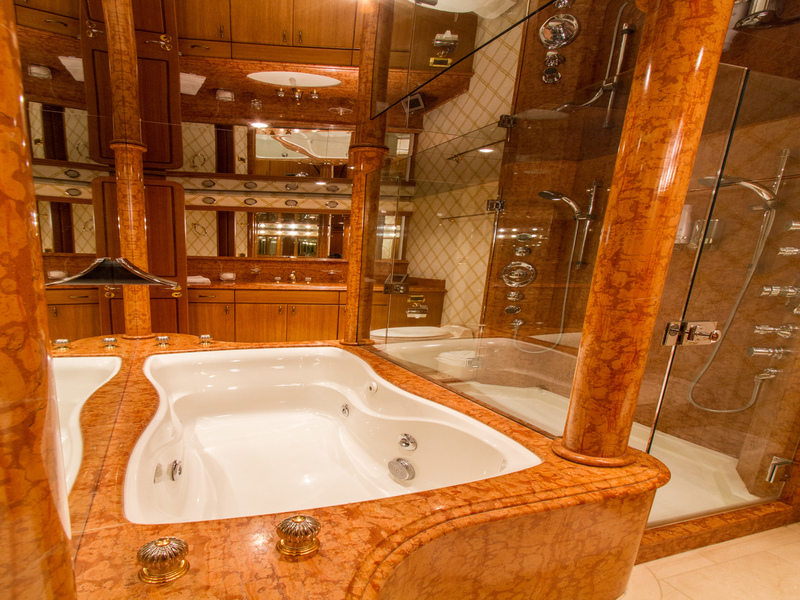 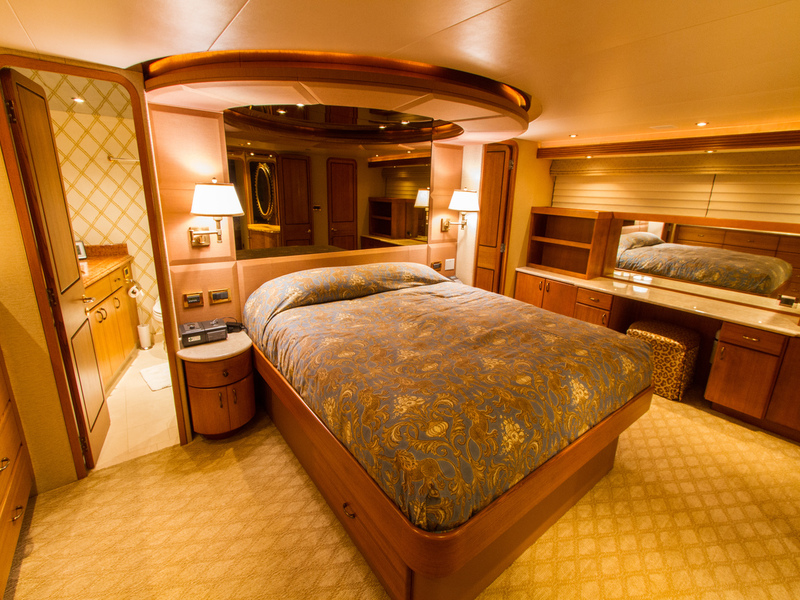 The master stateroom is amidships and full beam of the yacht, with a king size bed, vanity and full beam ensuite with his and hers heads, tub and walk through shower. 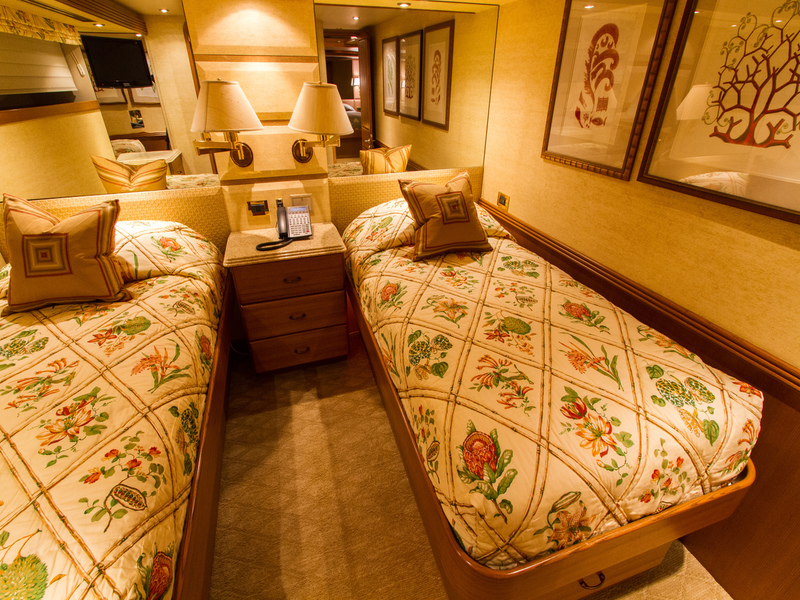 The VIP cabin is forward of the yacht with a private entrance, this cabin is full beam of the yacht with a queen size bed and love seat. 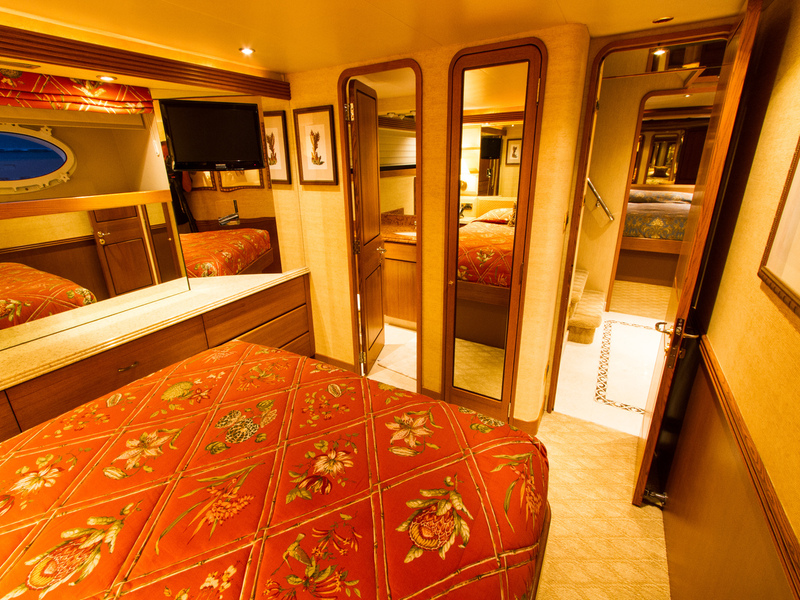 A guest double cabin is on the port side lower deck, with a double bed, while a further cabin to starboard has twin beds. 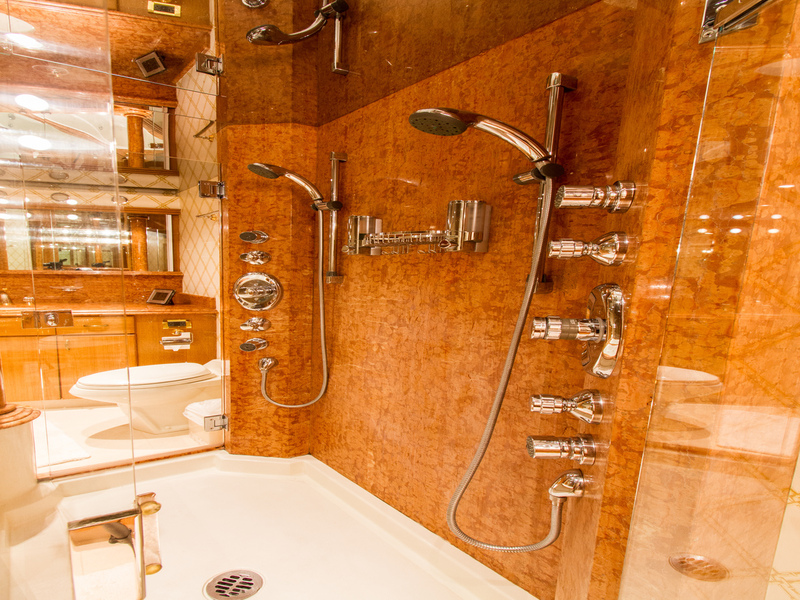 All cabins offer private ensuite facilities.